Salem, OR—Oregon voters returned a record number of ballots in the Nov. 8 general election, breaking 2 million votes, the Oregon Secretary of State announced today. Today's ballot return figure accounts for 78.9% of all ballots mailed to voters who were eligible to vote in this election. 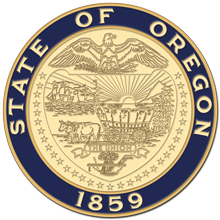 The Secretary of State will provide information on the turnout of people registered through the Oregon Motor Voter program early next week. Of the 2 million-plus ballots cast statewide, 28,322 ballots are being challenged and reviewed for issues like a missing signature or a signature that doesn't match the registration record. Voters have 14 days after the election to resolve a challenged ballot. “The challenged ballot process is an important part of ensuring the integrity of our vote-by-mail process. If you receive notice from your county that your ballot is being challenged, you will need to act to resolve those issues to make sure your vote is counted,” Atkins said.